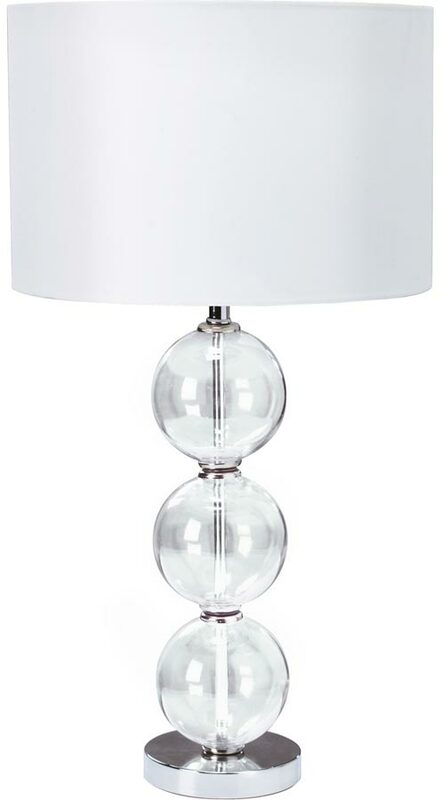 This chrome stacked glass balls table lamp with white shade is clean and contemporary. The polished chrome stand features three clear glass balls stacked on top of each other, with an elegant white fabric drum shade above. 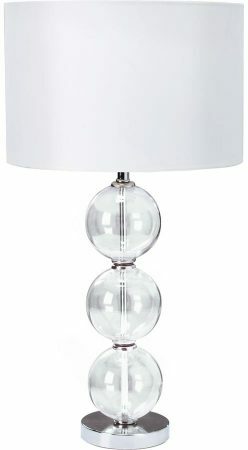 A contemporary 58cm table lamp finished in sparkling polished chrome with central stacked glass balls feature and white fabric shade. A fantastic choice for the living room, dining room or bedroom that would look great in pairs on either side of a chimney breast or on bedside tables as reading lamps. Shade dimensions, height 215mm – diameter 335mm. Fitted with an inline switch and double insulated, no earth required.